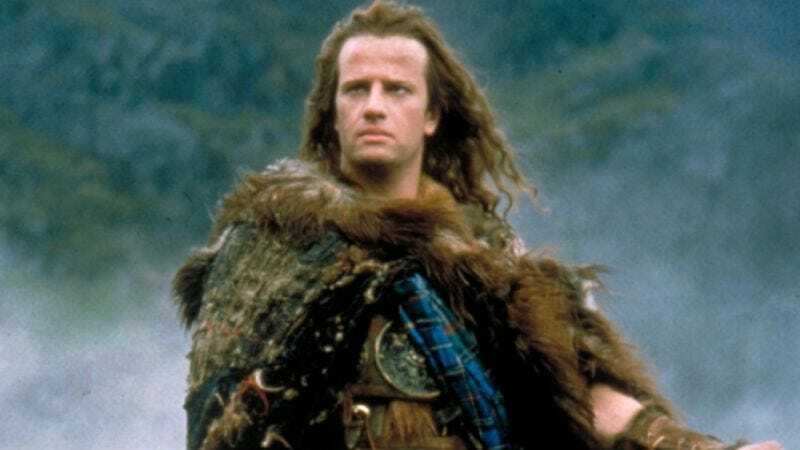 According to The Hollywood Reporter, producer Neal Moritz has brought in Twilight screenwriter Melissa Rosenberg to take yet another stab at rebooting Highlander, the 1986 fantasy film about the magic of Scottish people. When last we heard of the project, an original draft was in the hands of Art Marcum and Matt Holloway—two of the industry’s busiest second-coat-of-wax guys, who also have revivals of Teenage Mutant Ninja Turtles and Buck Rogers in the works—and since then it’s been through a revision by Cormac and Marianne Sellek Wibberley and attached to Fast Five director Justin Lin. But while Lin's involvement may lead one to believe this Highlander will be all about the high-octane kilt action, Rosenberg has been brought in because Highlander is not just barbarians and broadswords, but also the ageless protagonist’s torment over watching his true love grow older while he stays the same. Queen even wrote a song about it. And, as THR points out, Rosenberg “has proved adept at handling both character and action, as well as yearning.” She gives, hands down, the best yearning in the biz. Studios are like, “It’s okay, but where’s the yearning? Get me Rosenberg!” And then she comes in with her dramatic “(Pauses, looks away)” stage directions and suddenly the ladies are there opening night.